Your members deserve an experienced negotiator. The other side certainly doesn't use an amateur. Engler Labor Relations is dedicated to providing the best consultation and looking out for your interests. We will continue to protect your interests throughout the process. When it comes to contract negotiation and administration, experience matters! Protecting your collective bargaining agreement is far too important a responsibility to risk inexperience or oversight. Your members deserve an experienced negotiator. The other side certainly doesn’t use an amateur. Lack of understanding of the process and missed opportunities can have a negative effect on your members and their families. Our experienced professionals will analyze and assess your association’s position through wage and benefit surveys and formulate a strategy for negotiations. Upon successful negotiations, we will continue to protect your interests through contract administration and ensure compliance with what was fought so hard to gain in negotiations. We specialize in a number of areas to maximize your potential. Bargaining can be very challenging and complicated process requiring thorough preparation and research. Our experienced consultants will analyze and assess your current agreement, conduct surveys, prepare proposals and counter proposals, obtain pertinent data, cost proposals, and serve as your chief spokesman during negotiations or act as an advisor as part of your negotiating team. Negotiating a contract requires a considerable amount of time and energy. This dedication is also necessary when it comes to application of the agreement. We can assist you with the highly technical aspects of administering a labor contract, such as interpretation/enforcement, grievances, investigations, arbitration preparation, and other basic contract administration. A major part of preparing for negotiations is knowing where your organization’s wages and benefits are in comparison to similar agencies. Our consultants will provide a comprehensive wage and benefit study of comparable agencies to assist in preparation of negotiation proposals and negotiation strategies. Our consultants can assist you in setting organizational priorities, focusing resources on short and long term goals and assisting new leadership in successfully navigating the complexity of implementing their new leadership roles. Training and continuing education is vital for the success of an organization. We can assist your organization in identifying training needs, then design and provide customized seminars to educate your leadership in being more effective. A healthy collaborative relationship between labor and management is essential in moving an organization forward. Internal and external conflict can stand in the way. Our consultants are educated and experienced at identifying and resolving conflict and building a collaborative labor-management team. Want to learn more about how we can help? Fill out the form below and we will be in touch. Dave Engler has served as a professional firefighter for 20 years holding the positions of Firefighter/Paramedic and Fire Captain. Since being elected in 1999, he has held the offices of Secretary, Vice-President and President of IAFF Local #644 in Lincoln, Nebraska. He held State office as Vice-President and President of the Nebraska Professional Fire Fighters Association and was a District Field Services Representative (DFSR) for the International Association of Fire Fighters 2nd District covering Iowa, Kansas, Missouri and Nebraska. Dave has also worked as a Labor Consultant for a large law firm in Sacramento, California representing public employees throughout the State of California negotiating contracts for law enforcement, public works employees, dispatchers, firefighters and other employee groups. Dave has extensive experience in labor negotiations, contract administration, grievance and dispute resolution, representation in disciplinary hearings, and mediation. Dave has served as an expert witness in wage and benefit cases, representational cases and unfair labor practice cases in the Nebraska Commission of Industrial Relations. 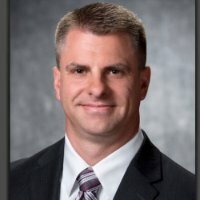 He was appointed by the Governor of the State of Nebraska to the Nebraska State Board of Emergency Medical Services from 2003-2006 and was an Executive Board Member for the Nebraska State AFL-CIO from 2007-2013. Dave has earned his Professional in Human Resources (PHR) certification from the HR Certification Institute as well as Society for Human Resource Management-Certified Professional (SHRM-CP) and has completed numerous courses through the William Brennan Institute for Labor Studies at the University of Nebraska in Omaha, Nebraska; the Labor Relations Information System (LRIS); National Conference of Public Employee Pension Retirement Systems; and the IAFF Partnership Education Program (PEP). Master of Science Negotiation and Dispute Resolution with a concentration in Organizational/Transactional Negotiation, Creighton University, Omaha, Nebraska. Bachelor of Arts in Public Administration, Doane College, Lincoln, Nebraska.